What say you, Mr Guinness? In the ancient Roman Empire, all roads led to Rome. The situation in Kraków has been similar since the Middle Ages: here, all the city’s roads lead to the Main Square. The idea was brilliant in its simplicity: designing the layout of the newly chartered city in 1257, the planners situated in its very centre, an almost square ‘square’, whose sides were approximately 200 m (660 ft) long, which made its area equal to 4 hectares (9.88 acres). The mediaeval city planners were looking boldly into the future and/or had vast ambitions. No market square of such a vast size was needed for the contemporary population of Kraków, which consisted at the time of no more than 3000 people. Considerably fewer than the number of café and beer garden visitors who today visit the square on a hot summer night. 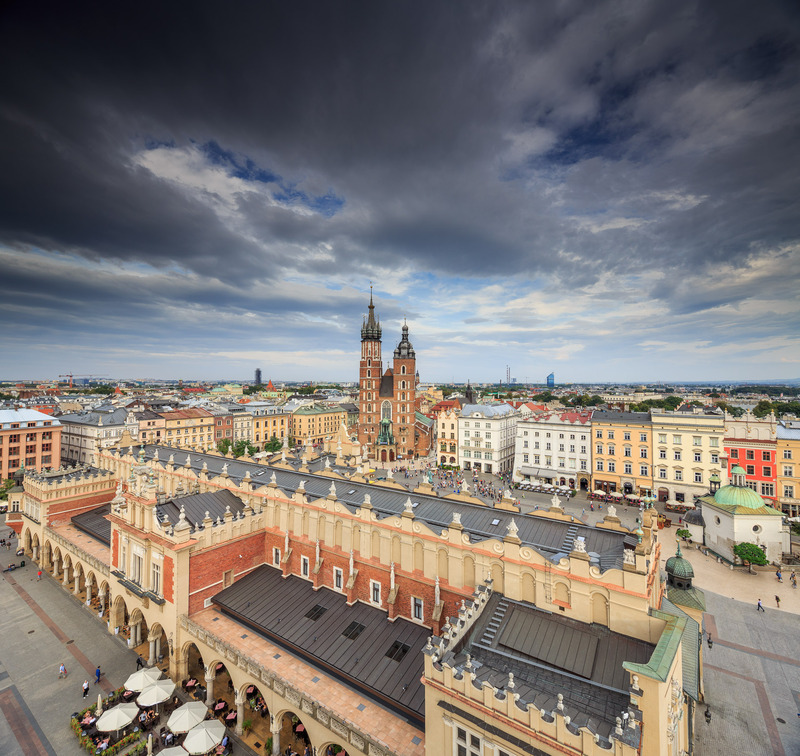 Had the Guinness book of records existed in the 13th century, the Main Market Square of Kraków would certainly have been entered into it as Europe’s largest market square. PS: As the square is not a perfect square, its actual area exceeds 4 hectares; when calculated precisely it amounts to 4 hectares, 3 ares, and 34 square metres (9.97 acres).